For many young professionals working in Santa Barbara, the thought of “settling down” involves moving away from our beautiful beach town to somewhere with more affordable housing. When Alexandra and Andy Hamill first met, they didn’t think they would be able to stay here either. “Starting a family in their one-bedroom apartment would not have been feasible,” Alexandra said. Despite grandparents and other family members who tied them to the area, moving out of the area seemed to be their only option. That’s when Andy found out about one of Coastal Housing Partnership’s Home Buying Fairs through his employer, Toyon. Toyon is one of more than 60 local companies that provides housing savings and benefits to its employees through an annual paid membership with Coastal Housing Partnership. These benefits include free home buying education as well as savings when buying a home, refinancing a mortgage, or renting an apartment. 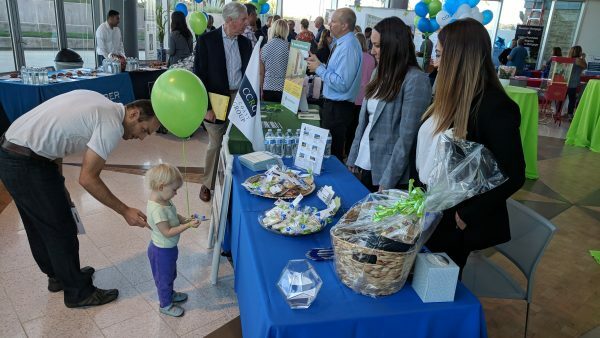 “The Home Buying Fair was really helpful and encouraging, and that’s when we started reading more about Coastal Housing and crunching numbers,” Alex said. Once the couple realized home ownership in Santa Barbara might be possible for them, they started exploring their options and looking into buying a condo. Alex and Andy started working with the Kevin Hall real estate team and lender Terre Lapman, both of whom are part of the Coastal Housing network. After saving up their own money and receiving a family loan for part of their down payment, Alex and Andy found their condo a few years ago. Coastal Housing real estate agents and lenders provide savings to home buyers in the form of credits toward closing costs in the home buying process. “We wound up with no closing costs. That was huge,” Alex said. “We’re thankful that Toyon is part of Coastal Housing. It helped us stay in Santa Barbara!” The Hamills worked with Coastal Housing partners once again when they recently bought a larger house after having two kids. Many people are daunted by the competitive real estate market in the area, and assume that home ownership is not a possibility for them. Coastal Housing Partnership’s free education programs aim to making the home buying process simpler to understand and more accessible for a wide range of prospective home buyers. 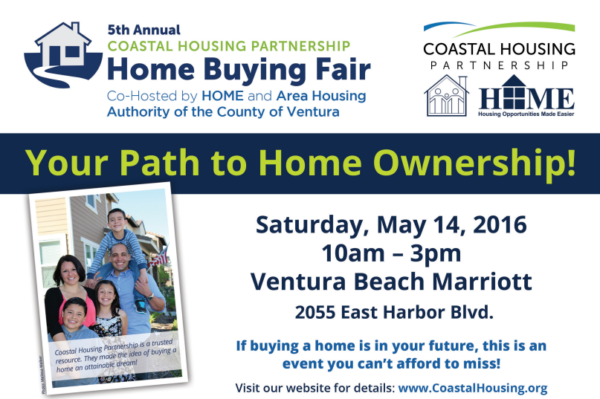 This spring, Coastal Housing Partnership will host its 8th Annual Home Buying Fair on April 30th from 5pm-8pm at the Pierpont Inn in Ventura. 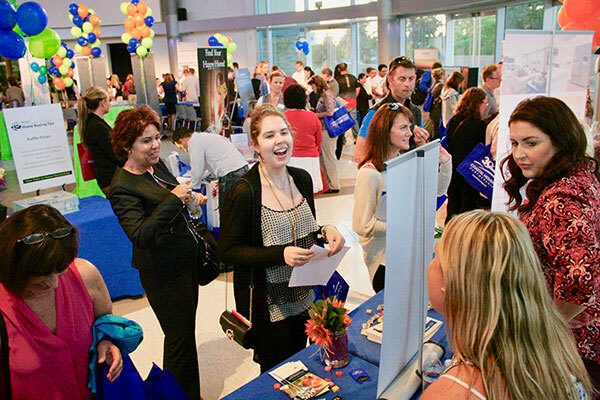 Providing a no-pressure environment to chat with real estate agents, lenders, and other real estate professionals, this event is perfect for prospective home buyers who want to get their questions answered or shop for members of their home buying team. Come network, hear professional panels about the home buying process and the real estate market, and eat tacos at the Home Buying Fair! For more information and to RSVP, visit homebuyingfairs.org or call the Coastal Housing Partnership office at (805) 969-1025. 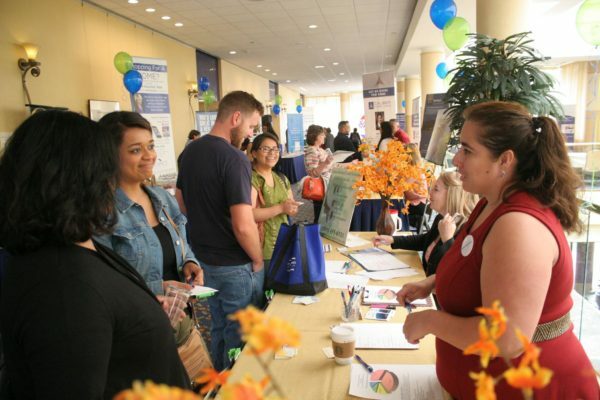 This entry was posted in Home Buying Fair and tagged benefits, employees, home buyers, home buying, home buying fair, housing, real estate, Santa Barbara, savings, ventura on March 14, 2019 by Coastal Housing Partnership. 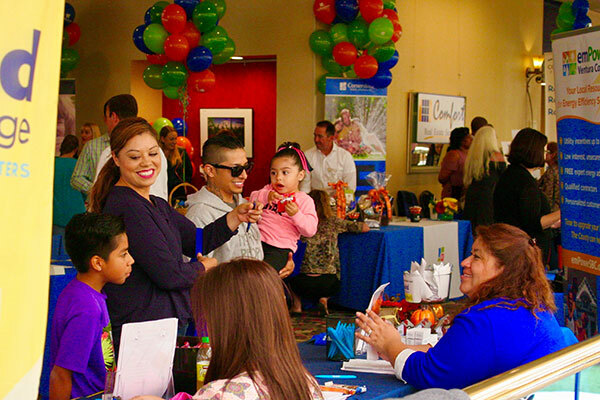 This year marks the 8th year of Coastal Housing Partnership Home Buying Fairs! These events are the best place to get on your path to home ownership, or to get your questions answered if you’re already on your way to buying a home! Join us. Make sure to share this valuable event with anyone you know who has home ownership in their future! Looking forward to seeing you there! 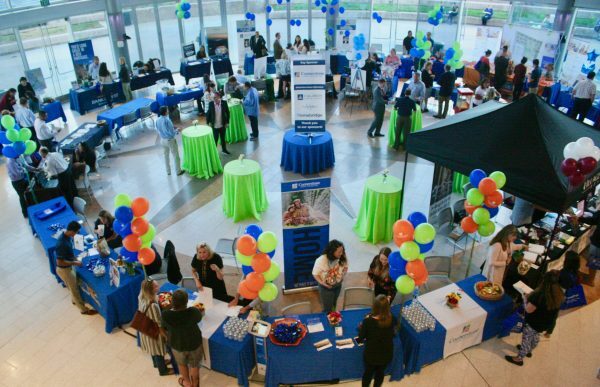 This entry was posted in Home Buying Fair and tagged benefit, employees, home buying, home buying fair, homebuyers, homeownership, real estate on February 22, 2019 by Coastal Housing Partnership. 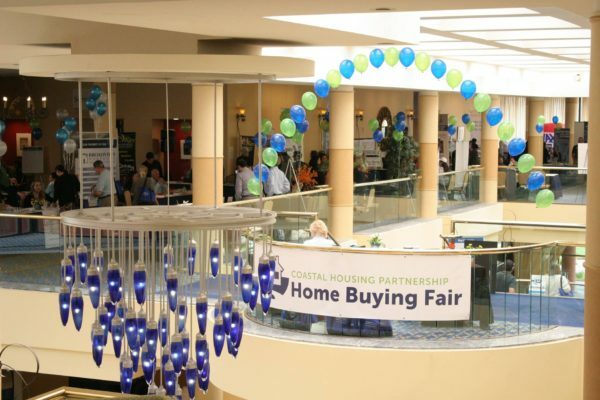 The schedule for this year’s home buying fair is live on our website www.coastalhousing.org. When you attend the 5th Annual Home Buying Fair on May 14th 2016, you can also attend our free home buying seminars offered throughout the day! Learn from local experts who have partnered with Coastal Housing Partnership in our commitment to helping you realize your dream of home ownership. They will help you understand what you need to know – and the questions you should ask – so that you are the strongest home buyer you can be. The information will give you the tools and confidence to compete effectively in today’s real estate market. 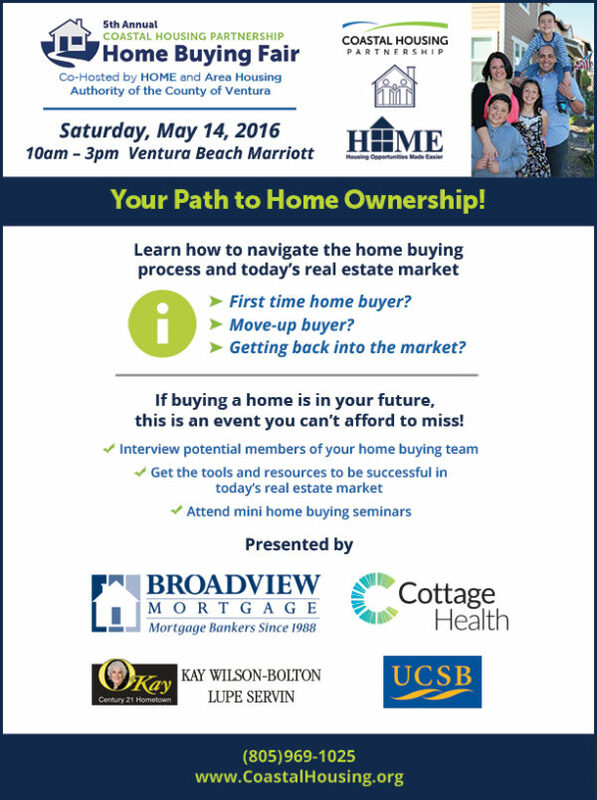 This entry was posted in Home Buying Fair and tagged home buying fair, ventura home buying fair on May 10, 2016 by Coastal Housing Partnership. Ventura Beach Marriott. Whether you are a first time home buyer, a move-up buyer, getting back into the market or just thinking about buying a home, this Fair is for you! You can RSVP online or via phone at (805) 969-1025! We look forward to seeing you! This entry was posted in Home Buying Fair and tagged home buying fair, home buying fair ventura on April 27, 2016 by Coastal Housing Partnership.